Imagine sliding down the world’s fastest ice track in a bobsleigh or on a skeleton sled, or getting ski tips from an Olympic skier on the site of the 2010 Olympic and Paralympic Winter Games. Perhaps you prefer to explore Whistler’s Olympic Legacies at your own pace with a self-guided tour. No matter what your preference, the spirit of The Games lives on in Whistler. 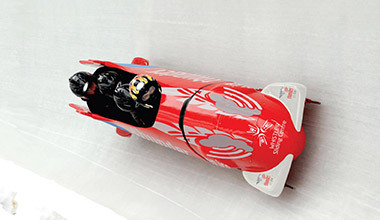 Tick bobsleigh or skeleton off your bucket list at the Whistler Sliding Centre! 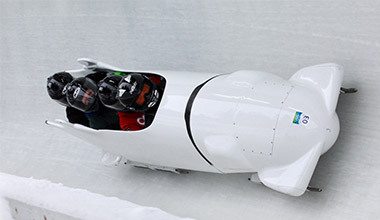 After a safety orientation, participants coast down the world’s fastest ice track in a 4-person bobsled, steered by a trained bobsleigh pilot, reaching speeds of up to 125+ km/hr. Solo adventurers can launch themselves down head-first on their own skeleton sled, reaching speeds up to 100 km/hr. Bobsleigh is offered daily, Skeleton is available Fridays and Saturdays mainly (additional sessions may be open depending on the sliding schedule). Simply search below to book your winter experience, or call 1.800.944.7853 and speak to a local travel consultant. Sliding isn’t only a winter sport. This summer let a professional bobsleigh pilot steer you through a series of corners and curves in a bobsleigh on wheels. After a safety orientation and a tour of the 2010 Olympic Winter Games venue including an exclusive track walk, your ‘Rolling Thunder’ team will reach speeds of up to 90 km/hr in the final ‘Thunderbird Corner’. Summer bobsleigh runs seven days a week, rain or shine, it’s a perfect addition to your time in Whistler. Rolling Thunder runs daily for $109 per adult and youth (12 – 18 years) are free with a paying adult. Additional youth are half price. Whistler Olympic Park hosted ski jumping, cross-country skiing and biathlon for the Vancouver 2010 Olympic and Paralympic Winter Games and remains an active centre for competitors, the local community and visitors. 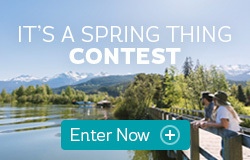 Located a short drive south of Whistler, the park offers activities and programs year-round. The park is open from November – April for winter activities. Whistler Olympic Park has 130 kilometres of picturesque Nordic ski and snowshoe trails plus biathlon facilities, ski jumping, tobogganing and baseboarding, and access to backcountry skiing. Entry is $10 per vehicle and includes a $5 coupon for any on-site activity. This fee helps maintain the venue for the benefit of local, national and international Nordic athletes for summer and winter training. Free park entry for 2017-18 season pass holders and non-motorized vehicles. Whistler Olympic Park is open daily for sightseeing and other activities from the end of June through to early September from 10 AM – 4:30 PM. Park closes and gates are locked at 4:30 PM. No advanced booking is required for activities. All activities begin from the Activity Base located at the park's biathlon range. This winter take a private lesson with an Olympian and learn new skills from one of the best athletes in the world and take your sport to the next level. 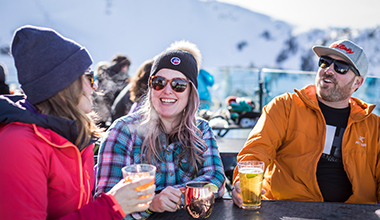 More than just a lesson, this once in a lifetime experience will give you a chance to learn about the life of an Olympic Athlete, learn some secrets of Whistler locals and possibly even ski the famous Dave Murray Downhill course. You’ll have the choice of having a one on one lesson, or bringing your friends and family to make a group of up to five people, all for the same price. 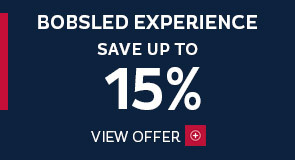 For more information and to book a private ski or snowboard lesson with an Olympian, visit the snow school page. *Please note that prices are subject to change and tours are subject to availability. Whistler is the place to experience the Winter Games - find out how you can watch, learn and try the sports for yourself.